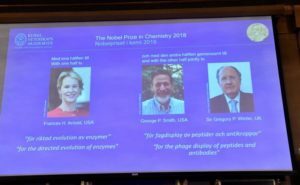 Probashbangla24 online Desk : Scientists Frances Arnold, George Smith and Gregory Winter won the 2018 Nobel Prize for Chemistry for research using directed evolution to produce enzymes for new chemicals and pharmaceuticals, the award-giving body said on Wednesday. 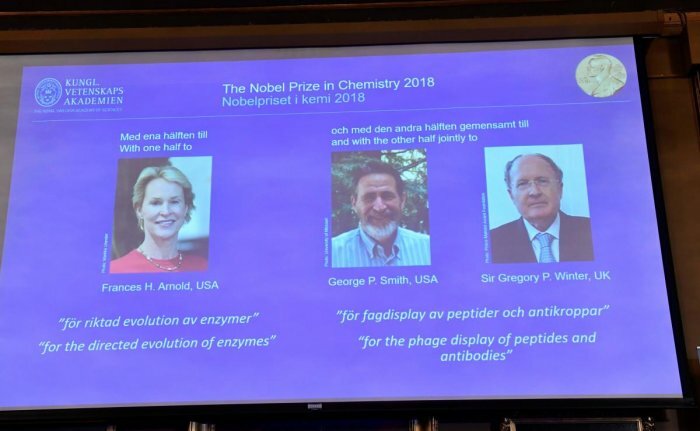 “This year’s Nobel Laureates in Chemistry have been inspired by the power of evolution and used the same principles – genetic change and selection – to develop proteins that solve mankind’s chemical problems,” the Royal Swedish Academy of Sciences said in a statement on awarding the 9 million Swedish crown ($1 million)prize. Chemistry is the third of this year’s Nobels and comes after the prizes for Medicine and Physics were awarded earlier this week.